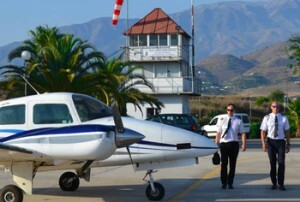 Since its inception in 1998, 2FLY’s training centre in Spain has been one of the leading training school for pilots and flight attendants in the south of Spain. The hundreds of students who have passed through our doors in recent years and the thousands of flight hours completed every year make 2FLY Spain one of the best options available for anyone who wants to embark on a career in aviation. All of our courses are approved by the EASA, complying with EASA standards meaning that they are recognised in practically every country in Europe. 2Fly Istituto Nobile offers boys and girls, after eighth grade, a school curriculum integrated, innovative, serious and complete, one of a kind that is designed to train pilots and technicians of the aviation industry quality to be included in the workforce immediately after graduation. The technical school is equally present in Rome, Reggio Emilia, Fagagna (Udine) with the posibility of boarding. To achieve this objective, common to our students and their families, we organized five-year courses divided into subjects of general education for all students and subjects of professional specialization, as per regulations. We have adopted a curriculum full of all the elements of general culture and of all technical training. The goal is to train all the figures required by the aviation industry and give students the best foundation for his career. Founded in 1994, Airborne has grown to become one of the largest independent providers of flight training in the United States. We are one of the few flight training organizations in the industry that is able to offer both American FAA and European EASA license training at our Florida training centers. Airborne is held to the highest standards by the FAA and EASA aviation authorities. Our FAA training programs are all conducted under the FAA Part 141 prescribed training outlines. With two locations in Florida, we are situated in a climate that is ideal for professional pilot training. Our towered and non-towered airport locations offer a variety of training situations, with a mix of general aviation, charter and corporate traffic. Our students are exposed to a variety of instrument approach procedures and gain extensive radio communication practice, ensuring the finest training available. Located at the Merritt Island airport (KCOI), Space Coast Aviation (SCA) is the closest FBO to Cocoa Beach, Kennedy Space Center and Port Canaveral. Enjoy competitive fuel prices, complimentary refreshments, on‐site maintenance, car rental and much more. At SCA, you’re sure to have a great experience with our friendly customer service and warm hospitality. 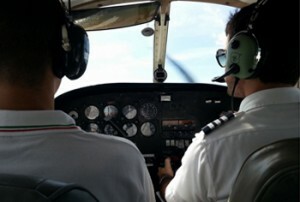 2FLY operate Cadet Recruitment Offices in the USA, UK, Italy, Portugal and Costa Rica, each one dedicated to advice and guidance as to training options for those wishing to become a professional pilot. These regional offices regularly visit major cities in their respective regions to deliver Information Seminars and conduct Pilot Assessment and Selection for 2FLY flagship programmes such as the EASA PRO-PILOT and the FAA AIRLINE PILOT PROGRAM.